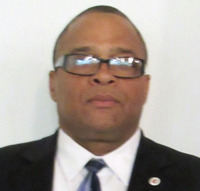 The Nation of Islam Delaware Valley Prison Ministry under the direction of Brother Gregory Muhammad is involved in all facets of prison reform in the region comprised of Pennsylvania, Delaware and surrounding areas. The ministry has been at the forefront and instrumental in advocating for justice for Mumia Abu-Jamal. The political prisoner, a former Black Panther, radio host and activist is serving a life sentence for the shooting death of a Philadelphia police officer in 1981. Mr. Jamal and his supporters have maintained his innocence. Brother Gregory in a far-ranging interview with The Final Call had this to say in an update regarding Mr. Jamal’s current status: “Mumia continues to suffer health issues.” Mr. Jamal’s medical issues as well as a skin condition cause him painful chronic itching, continued Bro. Gregory. “He is not in good health right now and we will continue to appeal to the Department of Corrections to get him the proper treatment and doctors to see him,” said Bro. Gregory. As reported by Bro. 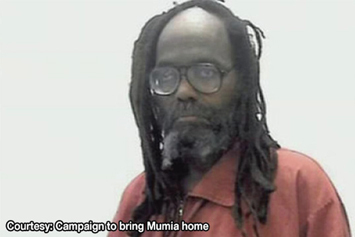 Gregory, on April 28 of this year, Philadelphia Common Pleas Judge Leon Tucker issued an order to the Philadelphia District Attorney’s office to release all records and memos regarding former DA Ronald Castille’s involvement in Mumia Abu-Jamal’s case. On May 30, 2017, the DA’s office failed to follow the judge’s order, only releasing documents already available in public records. The order followed a recent landmark Supreme Court decision, Williams v. Pennsylvania, which ruled that judges must remove themselves from any case that they had a hand in prosecuting. Mr. Castille was Assistant Philadelphia District Attorney at the time of Abu-Jamal’s 1982 trial and the city’s DA when his office opposed Mr. Jamal’s direct appeals in 1988. Mr. Castille twice refused to recuse himself when Abu-Jamal’s appeals reached the state’s highest court, reported Bro. Gregory. “The NOI Prison Reform Ministry DVR was present at the May 30, 2017 rally demanding that the Philadelphia District Attorney’s office release all the files about Mumia’s case,” he reported. With the election of new district attorney Larry Krasner, Bro. Gregory feels there may be a ray of hope for Mr. Jamal. “According to the new district attorney, he said he would correct the injustice that was done in the past by the district attorney’s office by examining old cases. So, this is a potential for justice for him,” he said. Representatives from the prison ministry have been involved in monitoring various aspects of Mr. Jamal’s case. According to Bro. Gregory, the first action prison ministry was involved in was in support of a successful civil lawsuit filed by Mr. Jamal in response to the Silencing Act in April 2015. “On October 16, 2014, the Pennsylvania legislature passed the Revictimization Relief Act, which was designed to muzzle those who have been convicted of a crime,” Bro. Gregory explained. “The law was aggressively forced through the legislature and promptly signed into law by former Republican Governor Tom Corbett on October 21, 2014. While the law purports to protect victims of crime, its true purpose was to silence prisoners’ rights activist Mumia Abu-Jamal,” he continued. “The prison ministry was also present in Scranton, Pa., in January 2017 for his civil hearing which forced the Pennsylvania prison system to provide him life-saving Hepatitis C medicine,” he stated. Bro. Gregory explained due to the delay in the treatment Mr. Jamal now reportedly suffers from a liver condition. “This battle ain’t over for the state’s cruelest gift is my recent diagnosis of cirrhosis of the liver,” Mr. Jamal has recently written. “It’s akin to a slow death sentence the state is putting him through,” Bro. Gregory observed. The work of the prison ministry is ongoing. The Delaware Valley Region is supportive of Student National Prison Reform Minister Abdullah Muhammad in carrying out his commission from Min. Farrakhan to open up transition houses. “These houses will help reduce the problem of prisoners that are on parole but can’t be released because of lack of housing,” said Bro. Gregory. “These houses will offer these essentials, plus job training, also the self-improvement program that the Minister has presented. We have ongoing fundraisers to support this endeavor. Another issue is bail that is set and can’t be met,” he continued. Bro. Gregory shared that he served a 33-year sentence and during that time he found himself in a struggle, growing from a criminal mind to a righteous mind. The teachings of the Honorable Elijah Muhammad through Min. Farrakhan guided him to the path of Allah (God) and changed him tremendously, he explained. “So, I know that the teachings will change the inmate population. We should support the ministry as a vehicle to reach our people and to help nurture their minds and spirit to make them truly rehabilitated upon release,” he said. Bro. Gregory stated the ministry is looking to organize a criminal justice forum in January 2018 in Philadelphia. Issues such as inmate health, unfair sentencing, and cash bail will be discussed, as well as reentry issues.